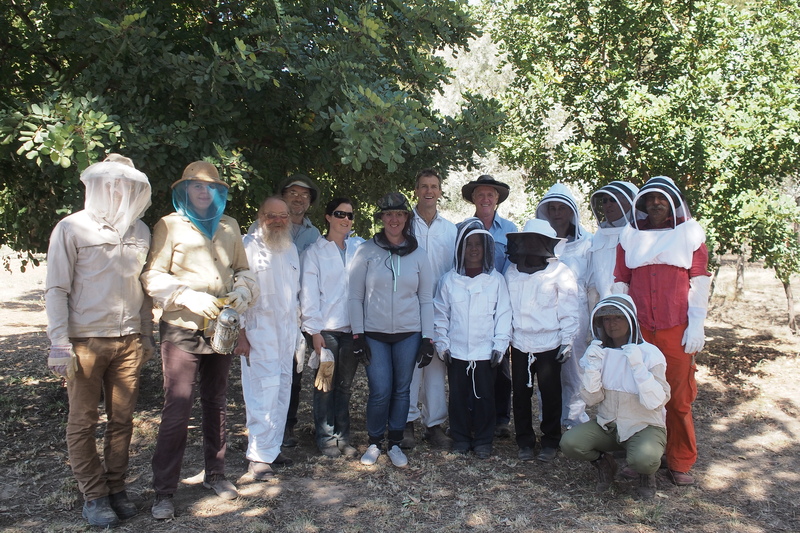 With two consecutive Sundays of perfect warm, calm conditions, bees preoccupied with good nearby forage on our Spotted Gums in full flower, and a range of improvised and purpose made protective clothing, we had two terrific Backyard Bees workshops this autumn. 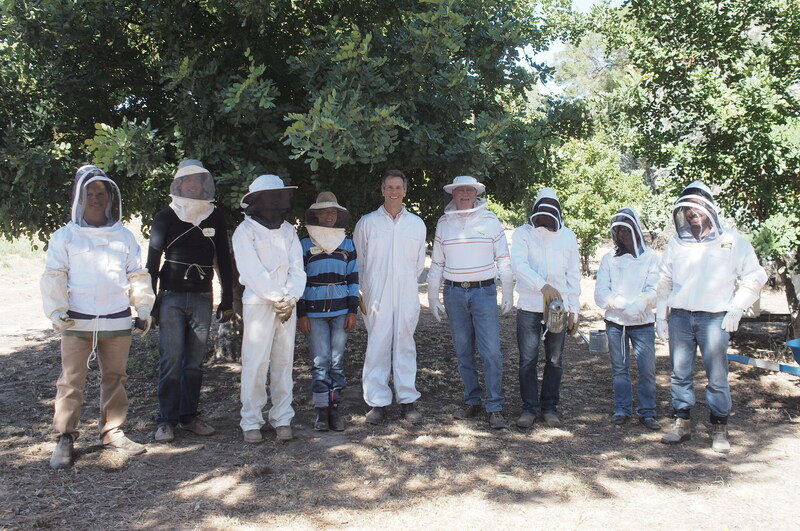 Everyone handled and closely inspected frames covered in bees, and only one thinly gloved hand felt a bite. Nga was fine.